Hey guys! It is finally November!! This is one of my favorite time of the year. This is mostly because of the time I get to spend with my family. Unfortunately, I don't see them as much as I would like to the rest of the year. Today, I want to share with you a delicious recipe that everyone will love! My husband could not tell that these delicious mini pumpkin pies were vegan. This recipe will fit in perfect if you are looking for a way to use those Halloween pumpkins, getting ready to head to a family event or if you just want to make a yummy treat for yourself. 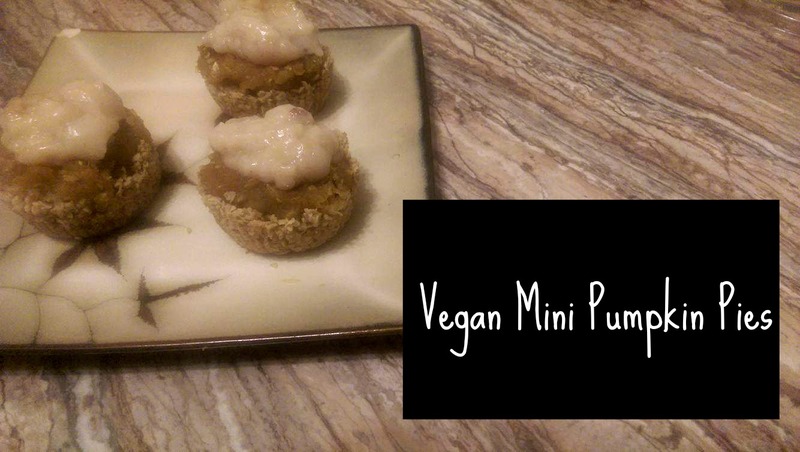 For this recipe, I used a fresh pumpkin that I roasted and pureed (I found a great deal for pumpkins at the market a few weeks ago!) but you could use canned pumpkin also. Also, if you are not Vegan, you can use honey instead of maple syrup!